As the world wrangles with trying to determine what is "safe", gold is yet again in the spotlight. I don't plan to tell you what I think that gold is going to do...but it is worth noting that the USD is up and gold is up. That says much. I do plan to help you scout for some opportunities. 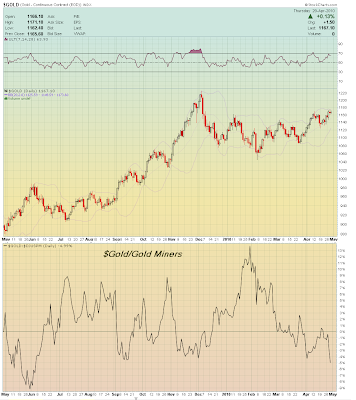 Let's take a look at the chart of gold with an integral window of the metal divided by the gold miner sector. As you can see the ratio is sloping downward: miners are performing better than the metal. And, for your reading enjoyment, I prepared a chart book of the miners for you. It is in weekly format, so that you can see a longer term view. You can download it here . Some of these names (see SA for example) are extended, so prudent trade strategies (e.g. do not chase) are warranted. Positions: No stocks mentioned, but author is long GBG. 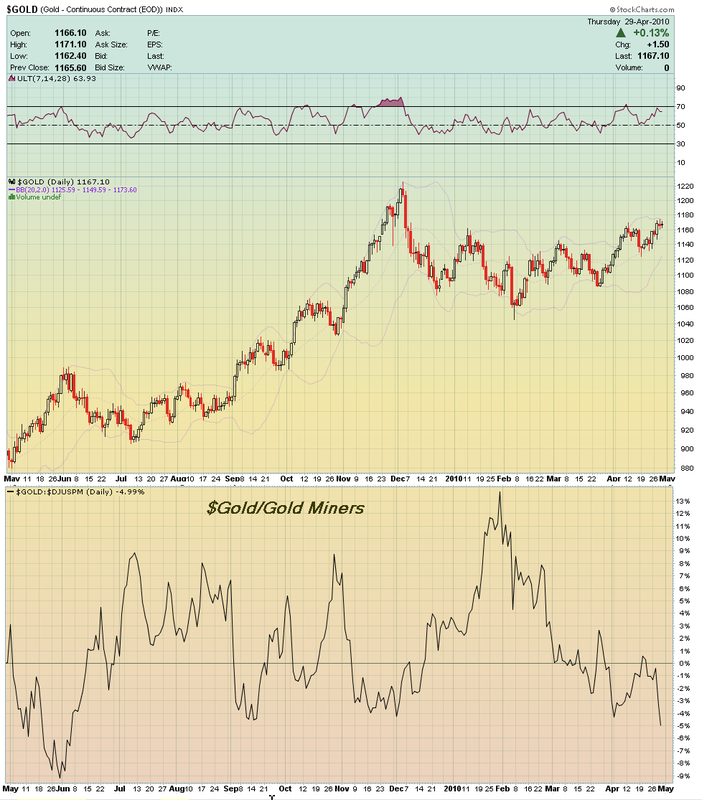 I'm reading: Gold | Gold Miner Stocks (by Leisa) $$Tweet this!